Captain Vijayakanth's new VIRAL VIDEO! 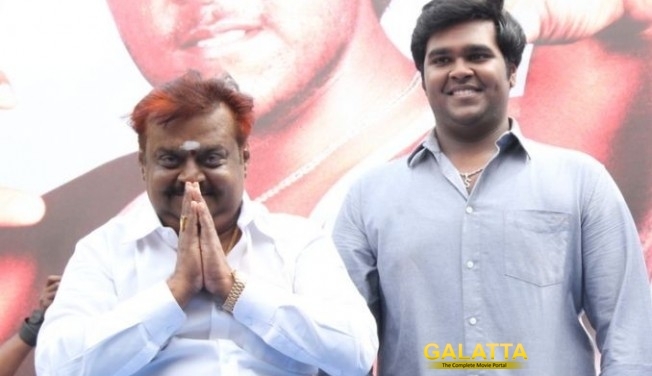 Actor turned politician Vijayakanth is currently in the US for his medical treatment and will reportedly share screen space with his son Shanmuga Pandian for an upcoming movie titled Thamizhan Endru Sol directed by Arun Ponambalam under the RKV Studios banner with music by Hiphop Tamizha. Vijayakanth founded his political party Desiya Murpokku Dravidha Kazhagam (DMDK) in 2004 at Madurai and within few years of forming the party, he achieved the stature of serving as the Leader of the Opposition.